Yeah! They are finally finished! Check out my new Fit Body Training Guides. 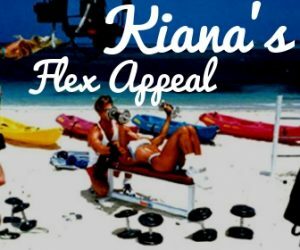 I will show you how to get a Flex Appeal Body in 12 Weeks or less! Complete step by step guide Exercise photographs and instructions so you know what to do Workouts can be done at home, in the gym, at the park or beach Free weights and body weight moves Upon purchase you can download and get started right away! Enjoy your workouts! Prefer to workout to videos? Check out my eGym, my Gym is NOW ONLINE! Watch LIVE HD Workouts streamed from my Gym by the Beach! Members can watch the LIVE Broadcasts and rebroadcasts, PLUS 100’s of Videos! Unlimited streaming 24/7 from ALL DEVICES!